Introducing Dancing Through The Rain! Hey guys! I have some amazing news! After 7 ½ years of money saving passion with Couponing For 4, I am moving in a new direction so that I can cover even more. Dancing Through The Rain - my brand new site! 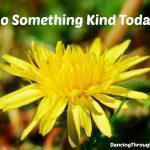 - is all about how to save money, empower yourself, cook with extremely doable recipes and … [Read more...] about Introducing Dancing Through The Rain! 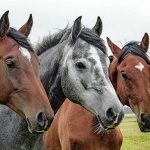 If you are looking to delve into some empowerment and find ways to lift your spirit and focus yourself in the right direction, start with some of these posts!That Which Does Not Kill Us Makes Us Stronger - The challenges in our lives are what help shape us. They are painful and tough to work … [Read more...] about Need Some Empowerment? What’s Going On?? Hold Onto Your Horses! Hi friends! You may have noticed that things have slowed down here on Couponing For 4. In the last seven and a half years, life has changed, the coupon industry has changed and I have changed. I absolutely love empowering people to save money, helping everyone figure out how they can cook despite … [Read more...] about What’s Going On?? Hold Onto Your Horses! 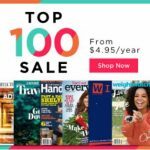 Top 100 Magazine Subscription Sale! This weekend Discount Mags is having a Top 100 magazine subscription sale where you can score sale titles for as low as $4.95/year! Remember you can gift magazines to your friends or get these as a new subscription or renewal for yourself!Have something else in mind? Use coupon code … [Read more...] about Top 100 Magazine Subscription Sale! There is a new save 20% on any single purchase of loose Tomatoes available today! This is good at any SavingStar participating store (including Target, Walmart, CVS, Walgreens and elsewhere!) Expires 1/16. … [Read more...] about 20% Off Fresh Loose Tomatoes Coupon! 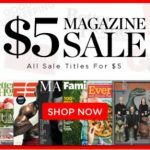 This weekend Discount Mags is having a $5 magazine subscription sale where you can save more on longer subscriptions! Remember you can gift magazines to your friends or get these as a new subscription or renewal for yourself!Have something else in mind? Use coupon code COUPONINGFOR4 to get 20% … [Read more...] about $5 Magazine Subscription Sale!